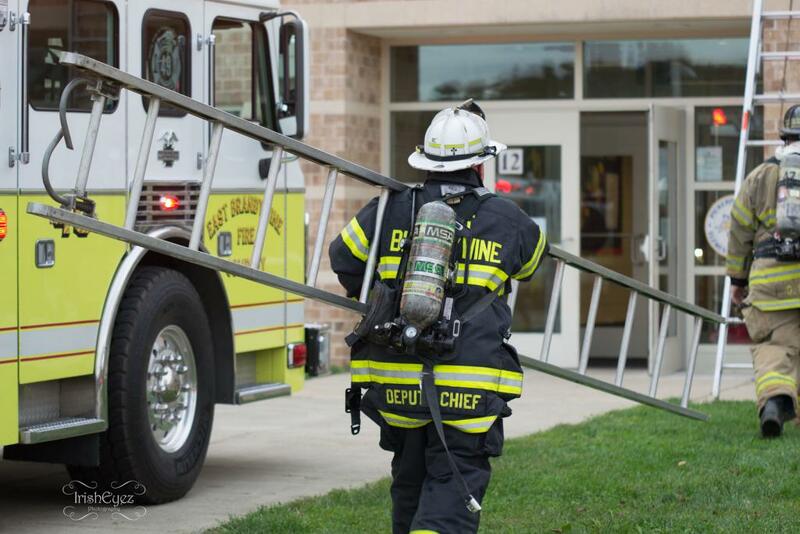 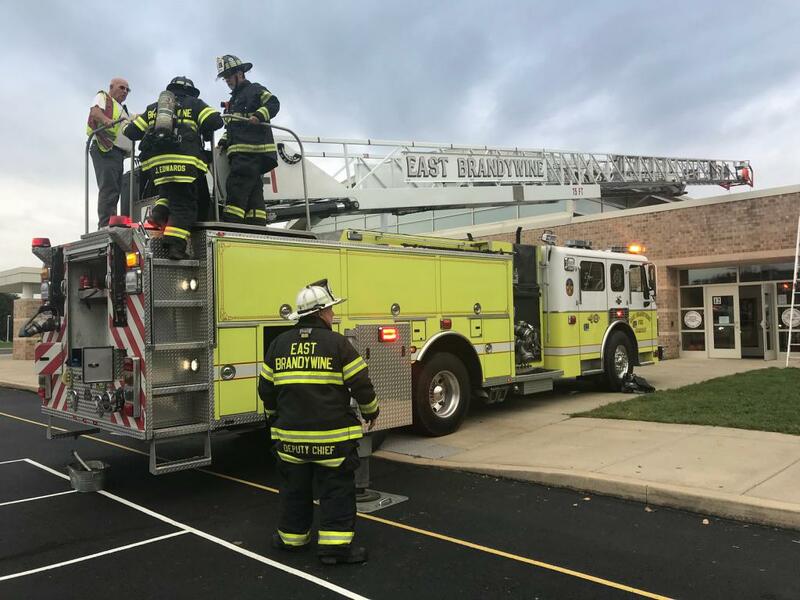 On Friday morning September 21st, East Brandywine Fire Company volunteers were dispatched to assist the Lionville Fire Company on a reported building fire at Pickering Valley Elementary School in Upper Uwchlan Township. 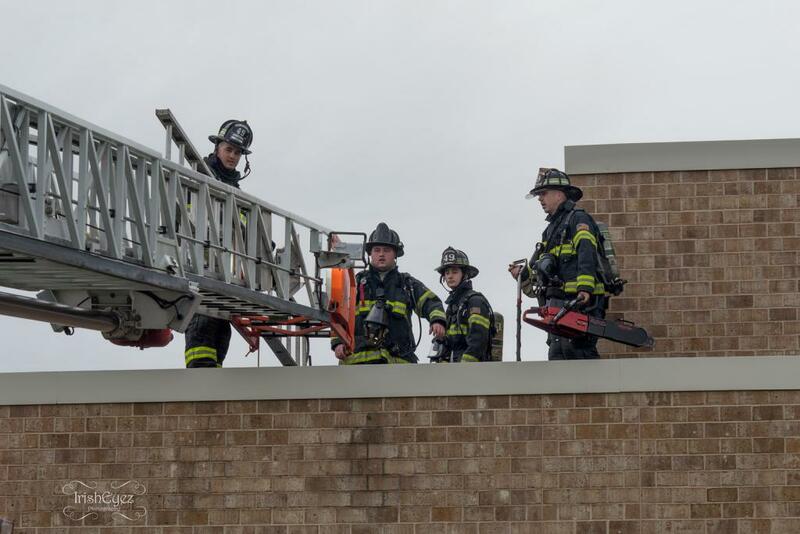 Engine 49-1 and Ladder 49 responded with a total of 9 volunteers as the rapid intervention team (RIT). 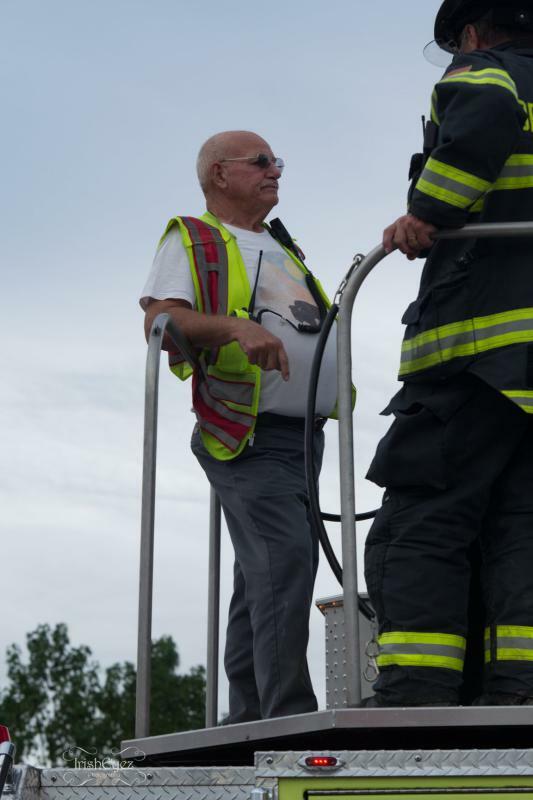 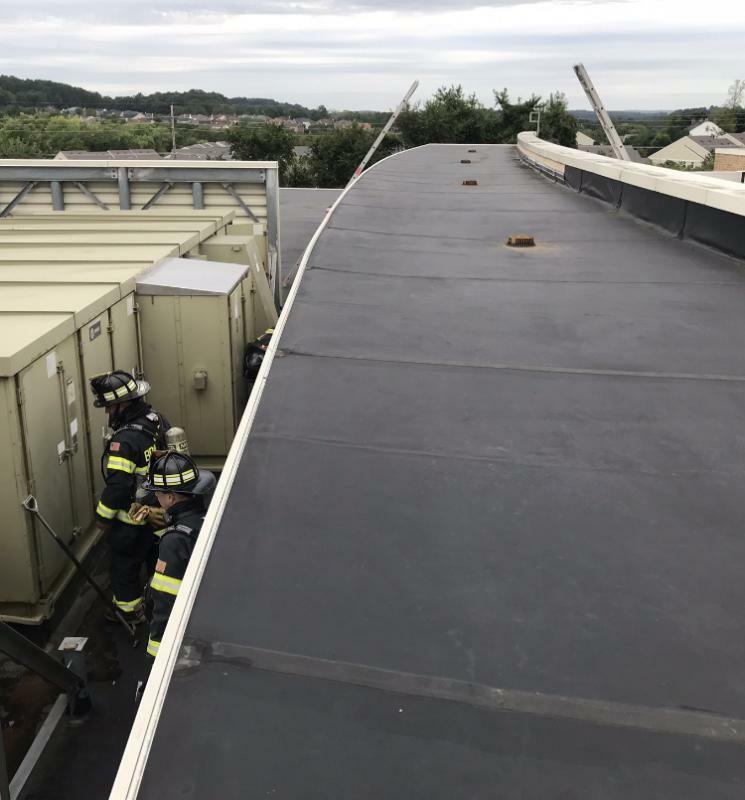 While enroute Lionville Fire Company Assistant Chief Chapman was updated that Upper Uwchlan Township Police Department confirmed a smoke condition in the building. 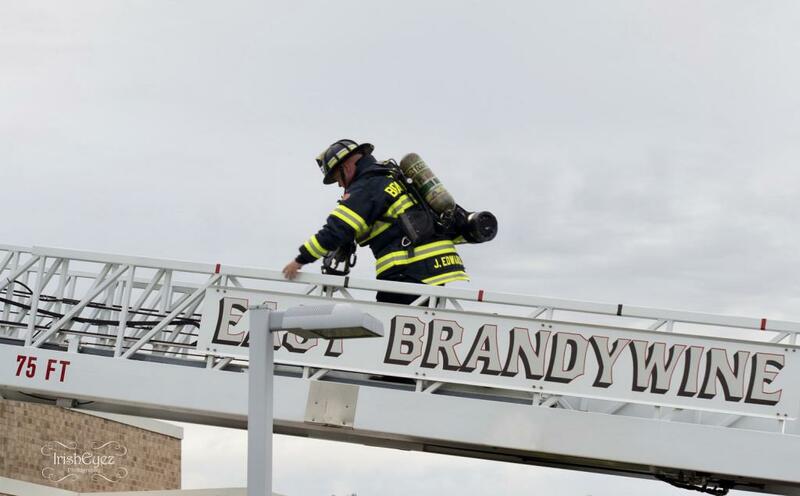 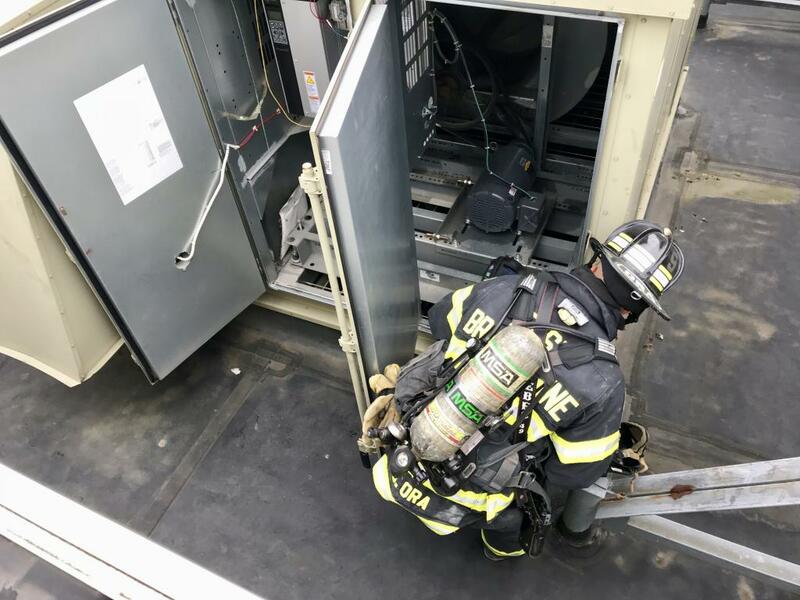 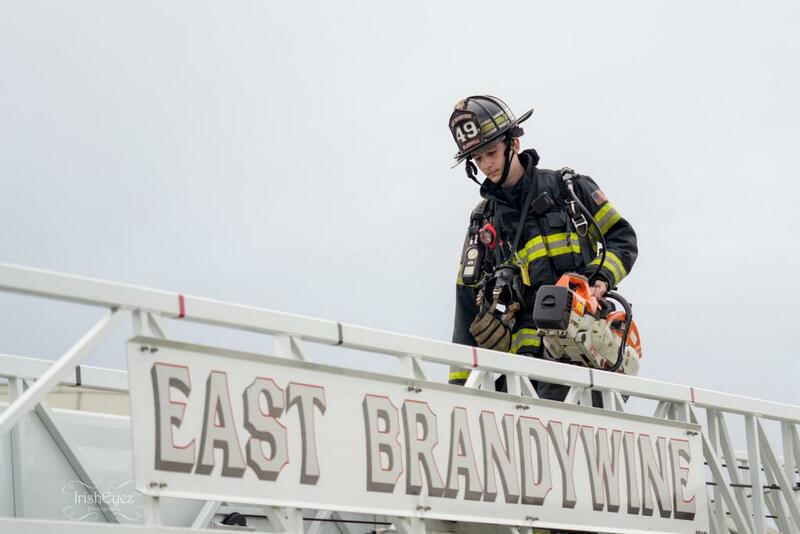 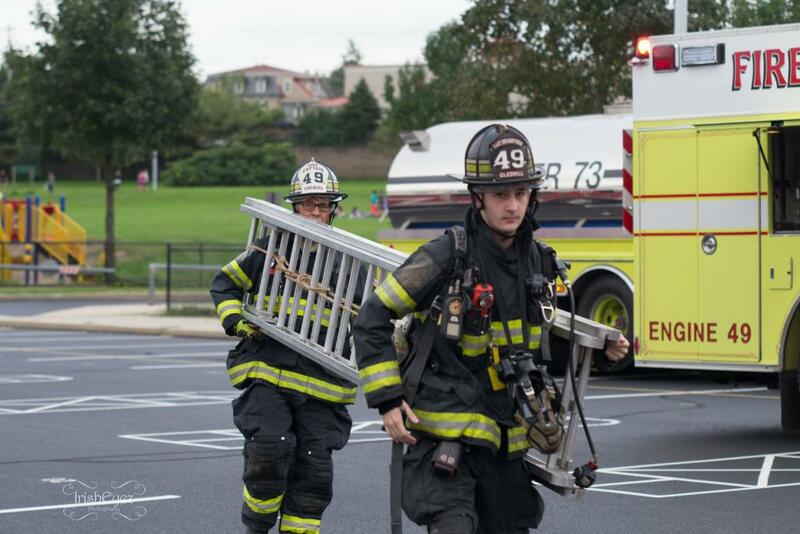 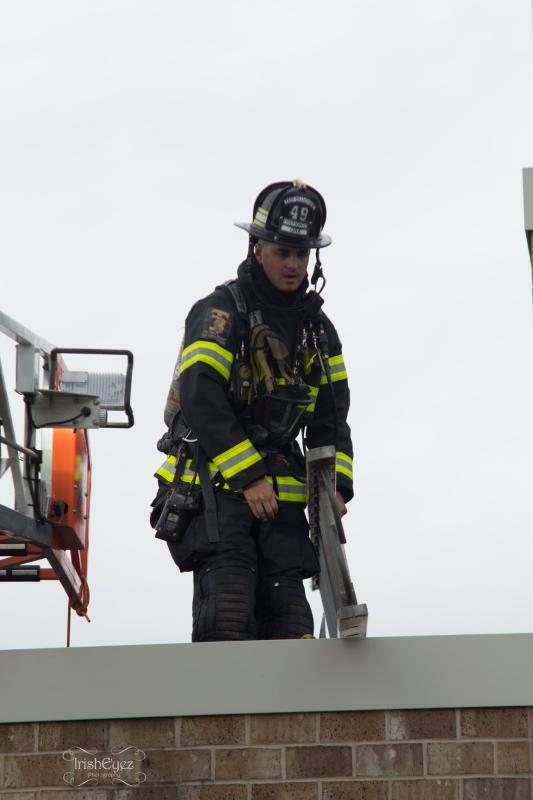 Assistant Chief Chapman established command and upon arrival of the East Brandywine units, the crews assignment were changed from RIT and were put in service for roof operations. 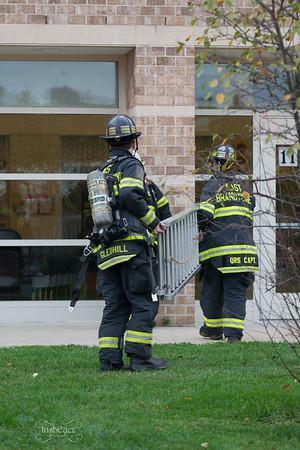 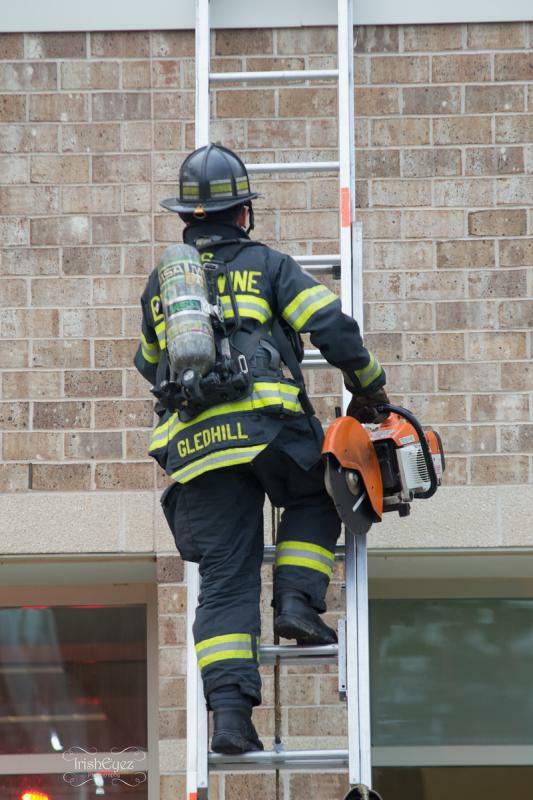 The source of the smoke was determined to be a light ballest inside and the situation was quickly put under control. 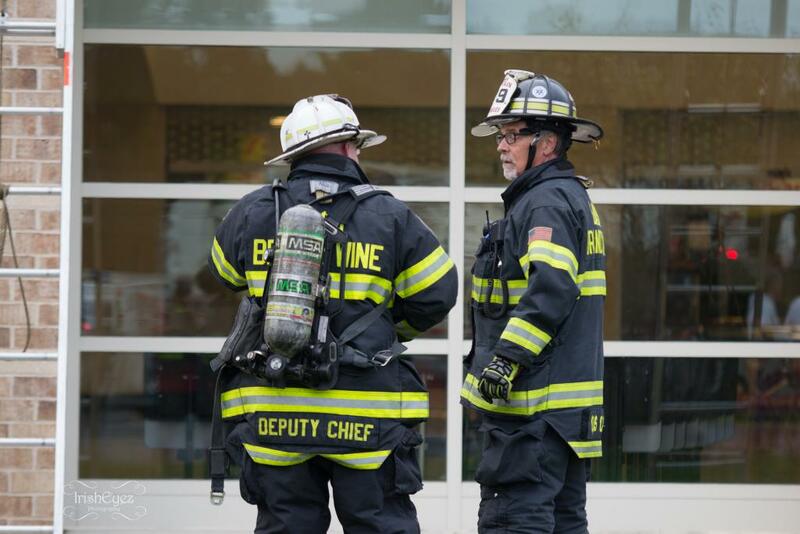 The Staff at Pickering Valley Elementary School did an outstanding job of ensuring all of the kids were evacuated quickly and safely. 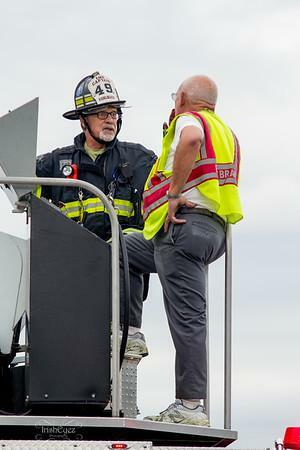 Additionally kudos to the Upper Uwchlan Township Police Department for initial incident management. 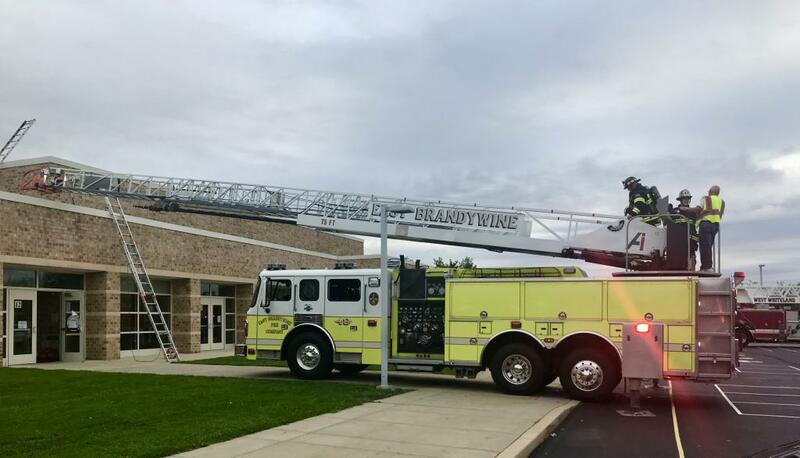 And lastly special thanks to all the students who attend Pickering Valley for their phenomenal "thank-you" upon the apparatus leaving the scene.